Let the bidding for Major League Baseball's best catcher begin. 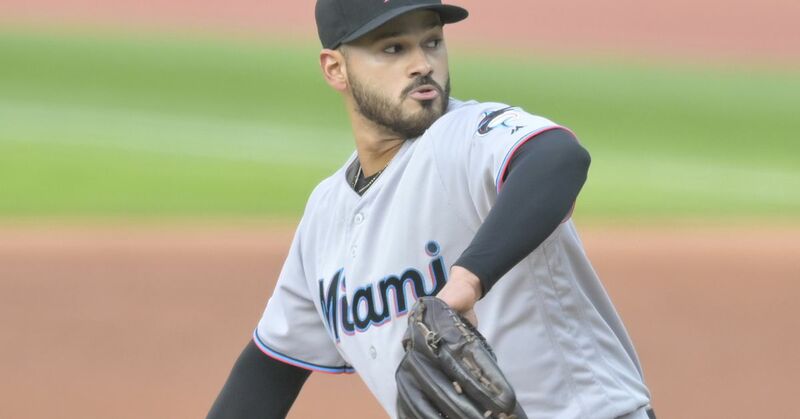 According to Joe Frisaro of MLB.com, the Miami Marlins' plan as of early October was to try to extend All-Star backstop J.T. Realmuto, who's slated for free agency after 2020. The Marlins aren't obligated to meet Berry's expectations. They can hold on to Realmuto, 27, and hope he changes his mind sometime in the next two years. The rational thing to do, however, is...well, not that. This is not the first time Berry has advocated for Realmuto to be traded. He started singing this tune last offseason after the Marlins traded Giancarlo Stanton, Christian Yelich, Marcell Ozuna and Dee Gordon. Berry said Realmuto "would like to be traded to another organization before spring training so he has an opportunity to compete for a championship." The Marlins did little in 2018 to convince Realmuto their rebuild will be swift. They lost 98 games and allowed 220 more runs than they scored. According to Bleacher Report's rankings, they also exited the minor league season with MLB's No. 27 farm system. In light of these circumstances, it's in the Marlins' interest to see what they can get for Realmuto. And this offseason, they should be able to get a lot. In addition to the World Series champion Boston Red Sox, the Oakland Athletics, Washington Nationals, Colorado Rockies and Arizona Diamondbacks are contenders who got negative wins above replacement from their catchers in 2018. The New York Mets, Milwaukee Brewers, Philadelphia Phillies and Tampa Bay Rays did better, but they could use upgrades nonetheless. Elsewhere, the Houston Astros (Martin Maldonado) and Los Angeles Dodgers (Yasmani Grandal) stand to lose their primary catchers in free agency. The Los Angeles Angels also have an opening, given that Maldonado played for them before he was traded to Houston in July. Even the New York Yankees, who have some catching up with the Boston Joneses to do, could be a possibility—particularly if the Marlins are open to a swap involving Gary Sanchez, an established slugger who's younger and more controllable than Realmuto. In any event, Realmuto won't come cheap in a market such as this one. If not an established star like Sanchez, he's bound to cost a team a couple of top prospects. To the latter end, seven of the 12 squads listed above—the Angels (No. 14), Rockies (No. 13), A's (No. 12), Dodgers (No. 10), Phillies (No. 8), Astros (No. 7) and Rays (No. 5)—have deep farm systems for the Marlins to choose from. But before anyone interprets that as a warning, let's be clear Realmuto can be more than worth the trouble. Realmuto has gotten better every year since breaking into the majors in 2014. His latest step forward took him to 4.3 WAR, which was one more than any other catcher. Much of that has to do with his bat. The improvement of his OPS mirrors that of his increasing WAR, and he's coming off career highs in OPS (.825) and home runs (21). That led to another step up for his walk rate but more so improved the quality of his contact. Both his average exit velocity (88.9 mph) and his hard-hit rate (38.5 percent) reached new peaks. Just as it did for Yelich, a move away from Marlins Park would almost certainly unlock further offensive potential for Realmuto. His career road OPS is 170 points higher than his career home OPS, and some of his non-homer fly balls and line drives would have cleared the fences even at Kauffman Stadium. As it is, Wilson Ramos is the only catcher who had a higher OPS than Realmuto in 2018. If he continues to improve and benefits from a more hitter-friendly home park, he can become MLB's best offensive catcher in 2019 and 2020. Realmuto's talents don't end there. He was the fastest baserunner among all catchers in 2018. He's also one of the position's most well-rounded defenders. He threw out a career-high 38.2 percent of base stealers in 2018, mainly with the help of the fastest pop time in the game. He got the ball to second base in an average of 1.9 seconds. Last but not least, Realmuto has also made good on his desire to become a better pitch framer. Altogether, you can't ask for a better catcher than Realmuto. Since he's only 27 years old and has multiple talents to hone, there's a good chance he will become a better All-Star or even an MVP-caliber talent over the next two seasons. In the meantime, it's probable he won't be in a Marlins uniform the next time he sets foot on a major league field. It's just a question of which of his many possible suitors wants him the most.